This band recorded more Peel Sessions than any other. A total of 24 between 1978 to 2004. All of these sessions were collected and released on a 6 CD compilation. This special edition podcast just scratches the surface of their output, an edited highlights of only a small part of their history. As you can see from the list this is a longer pod. Nearly an hour long. The next pod … whenever. 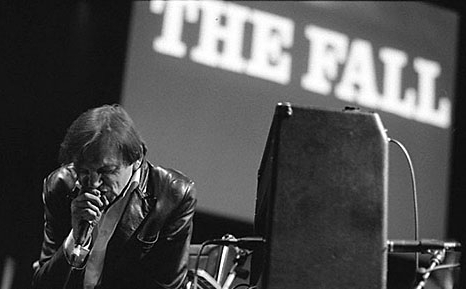 Totally Brilliant introduction to The Fall. How many ways can you say The Fall. Hilarious. great cast. Thank you! Ooops — logged in as my alter ego, but FANTASTIC!! Of course of course — glorious! Marcelle of Dandelion Radio is planning a special show for April contains only Fall songs … with a special selection criteria … the worst songs of The Fall.